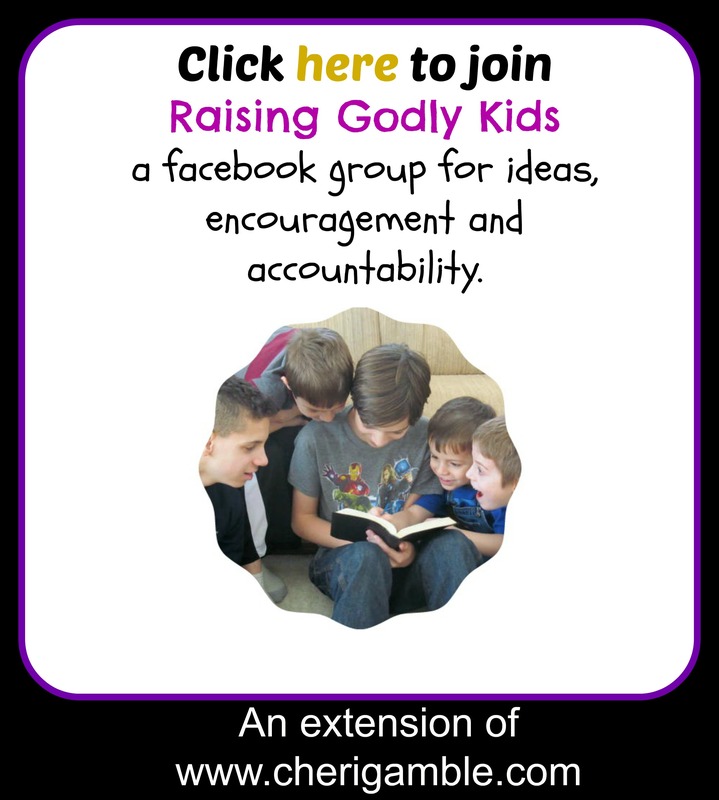 FREE Bible Lesson to teach your kids that they can help others! Includes ideas for games, crafts, snacks and more! Here’s another Bible lesson for you to use with your littlest ones. This one teaches the concept that we can all help each other! Encourage your youngest kids to look for ways that they can help others as you teach them about a time when Aaron and Hur helped Moses. Enjoy — and Keep Serving Jesus! 1. Beforehand, blow up a bunch of balloons. Take out a balloon and say, “Today we are going to play with balloons! We need to see how long we can keep this balloon up in the air without letting it touch the ground. Are you ready to try?” Start with 1 balloon and see how long the kids can keep it in the air. When they have kept the 1 balloon in the air for awhile, add a second balloon, then a third, then a fourth. See how many balloons your kids can keep up in the air at one time! When you finish the game, say: Great job! You guys all worked together and kept these balloons in the air! It took all of us helping out, didn’t it? Today, we are going to talk about how we can help each other . . . and our lesson has something to do with a man who had to keep his arms in the air and how his friends helped him! 2. Beforehand, put some candy corn in a bowl at one end of the room and have an empty bowl at the other end of the room. Line your kids up so that they form a line between the candy corn and empty bowl. Give each kid a plastic spoon. Say: I need your help! I want to get all the candy corn from this bowl into the empty bowl. I need you to help me by passing the candy corn from one person to the other all the way to the empty bowl. Can you help me? Help the first kid dip his spoon into the bowl of candy corn and pick up a piece of candy corn, which he then transfers to the next person in line and so on until the candy corn is at the end of the line and dropped into the bowl. See how many pieces of candy corn they can move this way in a certain period of time. When the time is up, stop the game and say: Good job! You guys were great helpers! You all worked together and got the job done! Today we are going to talk about how we can all work together and how we can help others! Beforehand, write the words “I can lend a helping hand” on several pieces of paper – or write this across a large paper or bulletin board. Gather all the kids together for the lesson. Say: Before we have today’s lesson, we are going to play a quick game of Simon Says. Whenever I say “Simon Says”, you need to do exactly what I tell you to do . . . and keep doing that until Simon Says you can stop! Are you ready? Lead the kids in a quick game of Simon Says. At this age, no one gets out . . . you just want to have the kids do what you tell them to do. When you are ready to end the game and begin the lesson, say: Simon Says stretch your hands up in the air! Now, Simon says leave your hands in the air like that as I tell you today’s lesson. Can you do that? Start the Bible lesson, encouraging the kids to keep their hands in the air. If someone starts to put their hands down, tell them to get their hands back up! (This is meant to be fun, so if your kids have a hard time with this or are unable to keep their hands up, don’t make them feel bad – simply go on with the lesson). Say: Today we are going to talk about a man named Moses. Moses was a leader of God’s special people. God did some pretty cool things through Moses! How are your arms doing? Simon Says clap your hands together two times and then keep your arms in the air! (lead kids in doing this). One day, a man named Amalek came against Moses and God’s people. He brought his army and wanted to destroy them! What was Moses going to do? Simon says bring your arms down for a second. Good job! Now, Simon says stretch them back up again – as high as you can reach! Moses told his helper Joshua to get some of their men together to go out and fight against Amalek. The next day, Joshua and his army went out to fight and Moses and two of his friends – Aaron and Hur – went up on top of a hill. Then Moses held his staff and lifted it up in the air over where the fighting was! As long as Moses held his staff in the air, Joshua and his army were winning the fight . . . but whenever Moses put his staff down, the Amalekites started to win! So, here was Moses, holding his staff up in the air so Joshua and his army could win the battle. Well, he got tired . . . just like you are getting tired . . . so his friends brought over a big rock and had Moses sit on it . . . just like you are sitting on the chairs! How are you doing? Are the chairs helping? Do you think you would be able to keep your arms up in the air all the rest of the day? That’s what Moses had to do! He had to keep his arms up all day long! Moses was tired! His hands were getting very tired! He didn’t know if he could keep his arms up in the air all day long! Guess what happened next? Moses’s two friends came over to him and supported his hands. Aaron took one hand and Hur took the other hand and they supported him like that all day long! (show an example of this by taking one of the kids hands and supporting it. If you have a helper with you, have the helper take the other hand and support it). Moses had some great helpers in Aaron and Hur! They helped him hold his hands up and Joshua and the army were able to beat the Amalekites! Aaron and Hur HELPED Moses . . . and we can help each other, too! Okay, Simon Says put your arms down and no more Simon Says for the rest of the day! What are some ways that we can help others? Let your kids answer. Pass out the papers you prepared ahead of time (or, if you are using the bulletin board, pass out blank pieces of paper). Help the kids trace their hands on the papers. Inside the hands, have them draw or write ways that they can help others. If you are using the bulletin board, have the kids attach their papers to the bulletin board under the phrase “I can lend a helping hand”. Then spend time praying, asking God to help them lend a helping hand and be GOOD HELPERS (like Aaron and Hur)! 1. Use the balloons from the opening activities for this fun review game. Give each child a balloon. Have the kids run from a starting point to an ending point, keeping the balloon in the air the whole time. When they reach the ending point, ask a review question from today’s lesson. (Or, if they are having difficulty running with the balloon in the air, randomly ask questions for them to answer). What is one way that we can help others? 2. If the balloons haven’t popped yet, use a sharpie to draw or write ways the kids can help others on each balloon. (You can even have the kids do this if you want). Send each kid home with a balloon! 3. Do a project with the kids where they can serve as helpers! You could take them outside and have them pick up trash or pull weeds or you could have them help clean up your classroom or another part of the building. Talk with them about ways that they can lend a helping hand in their homes, neighborhoods, and communities while you are working on the project! 4. Make a fun “helping hand” take home snack. You will need clear kitchen gloves (one for each child), candy corn and other small candies. Give each kid a glove. Ask for ways that they can lend a helping hand in their families, neighborhoods, etc. For every answer, give them a few pieces of candy. They should put the candy in the gloves until the glove is full of a variety of candy. Tie the gloves closed with a ribbon. Encourage the kids to take their snacks home and, every time they eat a piece of the candy, to do something that will “lend a helping hand”! Use pretzel rods and make chocolate covered pretzel rods! For even more fun, add sprinkles!